In an effort to capitalize on the Western games industry, GungHo Online Entertainment has announced the formation of a North American subsidiary. GungHo, which owns top developers such as Game Arts, Acquire and Gravity (Ragnarok Online), has tasked veteran Jun Iwasaki to lead the charge into the West. GungHo Online Entertainment America, headquartered in Marina Del Rey, will look to Iwasaki's experience as the former Square Enix USA president and CEO of Xseed, to "deliver the best network-oriented console, handheld, mobile, tablet and PC games for players in North America and Europe." Iwasaki knows what it takes to turn Japanese titles into Western hits. He led Final Fantasy VII to become the first million-seller title on the PlayStation and he also established the original Kingdom Hearts as another major title in North America. Beyond that, at Xseed he negotiated and secured more than 50 games, including top titles like The Last Story and the Ys series. For its initial lineup, GungHo Online Entertainment America will publish a number of puzzle and RPG games, including Dokuro (PS Vita), Picotto Knights (PS Vita), Ragnarok Odyssey (PS Vita), Puzzle & Dragons (iOS), Freak Tower (iOS, Android), and Princess Punt 2 (iOS, Android). In this exclusive interview, GamesIndustry International discusses the careful strategy Iwasaki is putting in place to succeed in the Western market, we talk about the state of Japanese development, and we also ask him about the role of dedicated portables in a business that's seeing smartphones and tablets taking over. Q:A lot of Japanese developers have been criticized lately for creating games that lack the same spark or innovation of Western developers. How do you know what types of games to bring over to a Western audience? What's your selection process like? Jun Iwasaki: It may sound cliché, but our rule is to create games that we ourselves would enjoy. Our core strategies will rely on the unique vision of GungHo's company president Kazuki Morishita as well as my own years of experience in the gaming industry. Mr. Morishita personally oversees the game development phase at GungHo Online Entertainment in Japan and together, we are collaborating to identify and find opportunities to bring games to the global market. My own contribution to the company stems from my history with completely different kinds of games. At Square Enix, I worked on triple-A titles that were developed in-house, and while at Xseed I worked on core titles from various other publishers that I had developed relationships with. He has a wealth of experience coupled with a great instinct for sourcing great games so I'm excited to be able to work with him and his team. I believe in Morishita's vision, and I feel that my experience with the Western market can help us bring great games to our player base. "A smaller market that is filled with fans who are loyal, dedicated, and enthusiastic can provide for stable business since they are willing to support what they want"
We understand there are cultural differences between Japanese and Western audiences, but we believe that the best approach is to start with a game that is genuinely entertaining, then produce said game for a specific audience. It may seem like a basic rule, but it's one that we firmly believe in. Q: Companies like the one you led at Xseed definitely fall into the niche category. How big do you feel the market is for these types of games in the West? How will you maintain profitability? A smaller market that is filled with fans who are loyal, dedicated, and enthusiastic can provide for stable business since they are willing to support what they want. That said, our goal is to also bring in new gamers into our category, or better put, our community, by introducing Western players to new games that they hadn't necessarily thought would appeal to them. Q: Some Japanese developers remain very critical of the work of their peers, but others seem to be saying "Enough! There are lots of good Japanese games out there also." How would you describe the state of Japanese games development today? Jun Iwasaki:I believe this difference of opinion springs from each developer's strategy and target market. As publishers, we are new to the US market and plan on targeting core gamers. Our goal is not to sell mass quantities of our games, but rather keeping with the principles mentioned in questions 1 and 2: making quality games that appeal to the enthusiast market. We believe there are still a lot of strong titles that fit into this category. If a company bases their success off of the first-person shooters released by American publishers, then naturally the numbers they achieve will fall short of their expectations. Q: When you were leading Square Enix USA and oversaw Final Fantasy VII as it became the first million-seller on PlayStation, the games industry was a very, very different place. What are some of the biggest changes you've observed since then and how will companies (including GungHo Online Entertainment America) adapt to current market realities? Jun Iwasaki: I think some of the biggest changes that came about were directly related to improvements in both hardware performance and media capacity. When Final Fantasy VII released, it was during the transition from 16- to 32-bit graphics as well as cartridge to CD formats. These improvements led to an unprecedented generation of gaming graphics, so I believe most of the larger companies shifted their focus toward improving CG graphics. After that, hardware continued to grow more sophisticated and storage media seemed to reach an apex. In an age where smartphones can surpass gaming consoles, we are also seeing a dramatic shift toward downloadable releases over physical prints. The games of today's generation must all have some form of network functionality. In anticipation of this, publishers must also make their operations and support capabilities ready to meet this new demand. GungHo Online Entertainment has a subsidiary company named Gravity Interactive. They are responsible for running the international servers for the MMORPG Ragnarok Online. As they are a sister company to GungHo Online Entertainment America, we plan to utilize Gravity Interactive's resources to their fullest potential. We will be sharing office space and streamlining both of our operations as we release exciting new titles. In addition to this, our headquarters also has a hugely successful smartphone IP, Puzzle & Dragons. We look forward to releasing this, as well as many other innovative titles for both the console and smartphone markets. Q: We noticed that a few of your first titles are for the PS Vita, but Sony hasn't sold all that many units of the portable. Why did you decide to look to Vita, and what do you think the future holds for dedicated handhelds overall? Jun Iwasaki: While we are looking forward to the Vita's installed base growing in the future, we believe that the Vita and other handheld gaming devices (like the Nintendo 3DS) have great potential for network functionality and overall versatility. Taking that into account, we also wanted to release games as soon as possible under the GungHo Online Entertainment America brand and publishing support, so working with our headquarters we identified Dokuro, Picotto Knights and Ragnarok Odyssey (in Europe only). These games are fantastic titles, and they were developed for the PS Vita so it made sense that we worked to bring them to the Western audience as such for our initial line-up. Also, as smartphones and tablets become increasingly closer to directly competing with dedicated handheld consoles, we feel it's important to maintain a multi-platform model. In the same way that Sony and Android have increased their compatibility, it seems the PSP and Vita have increased their network connectivity rates, so we believe the system shows promise. "I believe there is a chance for a new type of MMO to arise based on the particular tastes of the users who began gaming on their smartphones"
Q: As a network-oriented company, you have to think carefully about business models. Will most of your games be free-to-play with microtransactions or how will you best monetize your games? Jun Iwasaki: We realize that positioning ourselves to directly compete with huge companies like Zynga and EA is quite inefficient. In the same way that Ragnarok Online has managed to target a very specific and dedicated user demographic, we plan to first release games that core gamers (enthusiasts) would find "fun." In so doing, we hope to establish a dedicated player base and maintain our model of (high ARP x lower registered user) vs. the larger companies' model of (low ARP x higher registered user). We believe this monetization strategy will provide a steady stream of revenue. Q: How do you view the MMO marketplace? Is this an area where you feel you can effectively compete with giants like Blizzard, which just released its WoW: Mists of Pandaria expansion? Jun Iwasaki: We acknowledge the success that WoW has been able to maintain but we also see the MMO category as evolving in order to allow for smaller games to compete. In our opinion, the only options remaining are to either focus on the current user base or expand to gain new ones. The current social gaming market mainly consists of casual players. While it's believed that the casual market has a low retention and conversion rate, I believe that a significant enough number of these users will actually become core gamers themselves. I believe that once you focus on the gaming aspects of these casual social games, you ultimately end up with an MMO. This is why I believe there is a chance for a new type of MMO to arise based on the particular tastes of the users who began gaming on their smartphones. Q: Do you see a future dominated by tablets as they become more powerful? Will most of your games end up on tablets, or will there always be a balance between platforms? Jun Iwasaki: It's my understanding that, at least in the US, the predictions for the tablet market are very positive. I'm sure Christmas lists this year will be filled with pleas for iPad, Kindle Fire 2 and Nexus 7 tablets. With the increase in the tablet installed base, I predict we will see a lot more cannibalizing of the handheld market; however, as mentioned earlier, I believe that by maintaining a multi-platform model, our profit growth can remain steady across different titles. Q: What would you like to see from Nintendo, Sony and Microsoft to make their platforms more attractive to companies like GungHo Online Entertainment America? Jun Iwasaki: Nintendo: Increased network rates and more user-friendly online functionality. Sony: Cross compatibility between PS3 and PS Vita that would allow the handheld's games to be played on the console. Microsoft: Relaxed terms for new publishers to release on their platforms. Q: How many people are working at GungHo Online Entertainment America now, and will you be expanding/hiring? 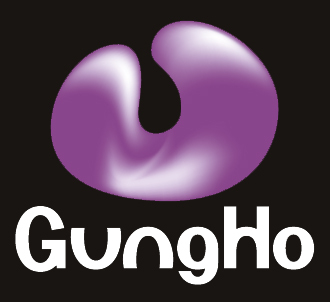 Jun Iwasaki: GungHo Online Entertainment America currently has four members. We will add more as we establish ourselves, which is driven by a sense for the scope of future titles. We will also be working closely with the existing Gravity Interactive staff and sharing responsibilities as we streamline both companies. I'm really excited and looking forward to growing our presence in both the US and Europe. 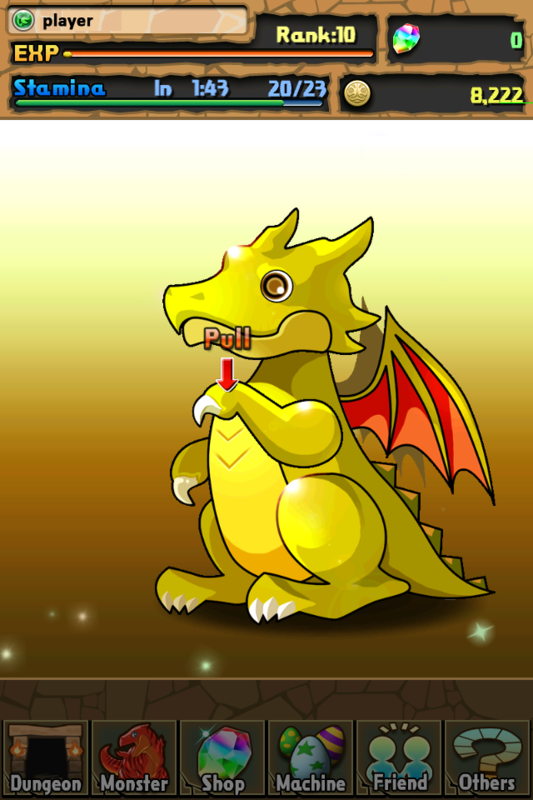 Thank goodness for GungHo, I say. The Vita NEEDS more quality games and the games they have coming look pretty fun. I used to play Ragnarok Online waaaaaay back in the day before getting away from MMO's for good and I loved Ragnarok DS (warts and all, the game was pretty addictive) so Ragnarok Odyssey is a no brainer for a "niche" guy like me.